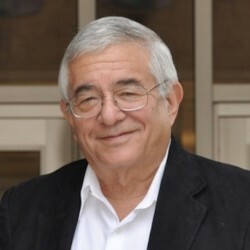 Jerry Berman is the founder of the Center for Democracy and Technology (CDT). CDT is a Washington, DC based Internet public policy organization founded in December of 1994. CDT plays a leading role in free speech, privacy, Internet Governance and architecture issues affecting democracy and civil liberties on the global Internet. Mr. Berman is also the President and Chairman of the Internet Education Foundation (IEF), a Washington, DC based non-profit established by leading Internet companies and public interest groups to conduct programs designed to educate policy makers and the public about the commercial and democratic potential of today’s decentralized and global Internet. IEF organizes forums for the Congressional Internet Caucus, sponsors conferences on issues such as child safety and privacy online, and develops and operates consumer education sites such as GetNetWise. Mr. Berman heads the 200 organization Advisory Committee to the Congressional Internet Caucus, a bipartisan group of over 160 members of Congress which sponsor Internet policy forums and a speakers program to increase congressional understanding of the Internet. In 1999 Mr. Berman served on the Congressionally appointed Child Online Protection Commission tasked to study technologies and other methods for protecting children from objectionable material on the Internet consistent with constitutional values. Mr. Berman has led legislative efforts to enact such landmark legislation as Electronic Communications Privacy Act of 1986, the Video and Cable subscriber privacy statutes, the Electronic Freedom of Information Act Amendments of 1996 and amendments opening the Internet to commercial traffic. In 1996 Mr. Berman coordinated the Citizens Internet Empowerment Coalition first amendment challenge to the Communications Decency Act. CIEC attorneys argued the case before the US Supreme Court that held the CDA unconstitutional and the Internet deserving of higher free speech protections than other electronic media. Mr. Berman is also a recognized expert on national security and civil liberties issues. He worked to enact the Foreign Intelligence Surveillance Act (1978) and worked on the development of FBI Domestic Security Guidelines. This year, he served on the Markle Foundation Task Force which has published recommendations on Protecting America’s Freedom in the Information Age to strengthen national security as well as protect open society values of privacy and free speech. Mr. Berman has written widely on Internet and civil liberties issues and often appears in print and television media. He testifies regularly on civil liberties issues before the Congress on Internet policy and civil liberties issues. Prior to founding the Center for Democracy and Technology, Mr. Berman was a Director of the Electronic Frontier Foundation. From 1978-1988, Mr Berman was Chief Legislative Counsel at the ACLU and founder and director of ACLU Projects on Privacy and Information Technology. Mr. Berman received his BA, MA, and LLB at the University of California, Berkeley. He graduated with honors, was elected to Phi Beta Kappa and served as an editor of the California Law Review at Boalt Law School.